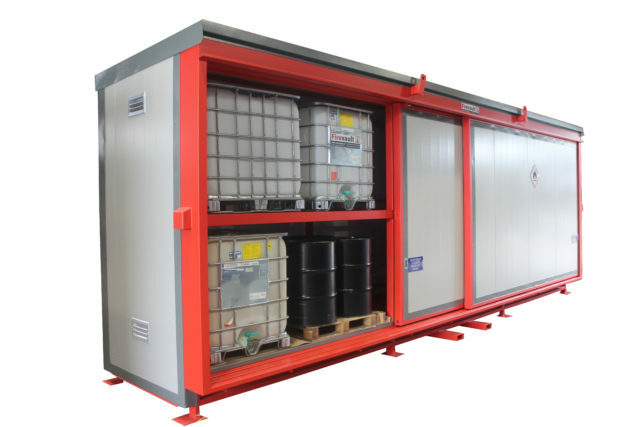 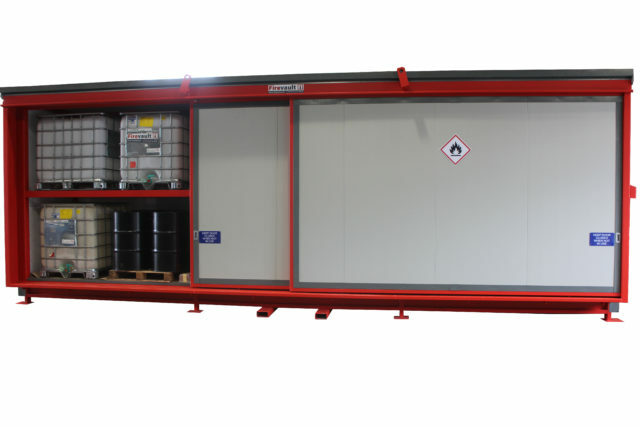 “After consulting with various suppliers, Chemstore was the only company who could provide us with the required solution” Mat Mitchell Technology Supplies Ltd. – Mat Spoke to us after receiving a bespoke Firevault (Fire Rated Stores) on site in the UK. 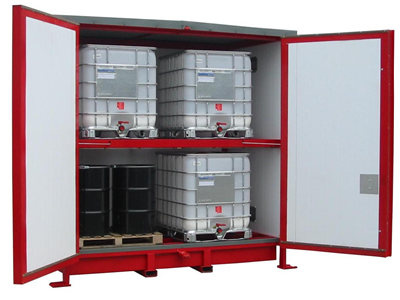 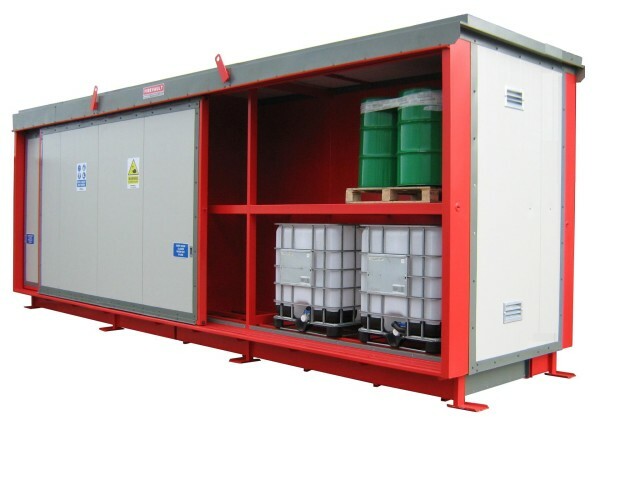 Fire Rated Stores for: Drums, IBC’s & pallets of flammable materials. 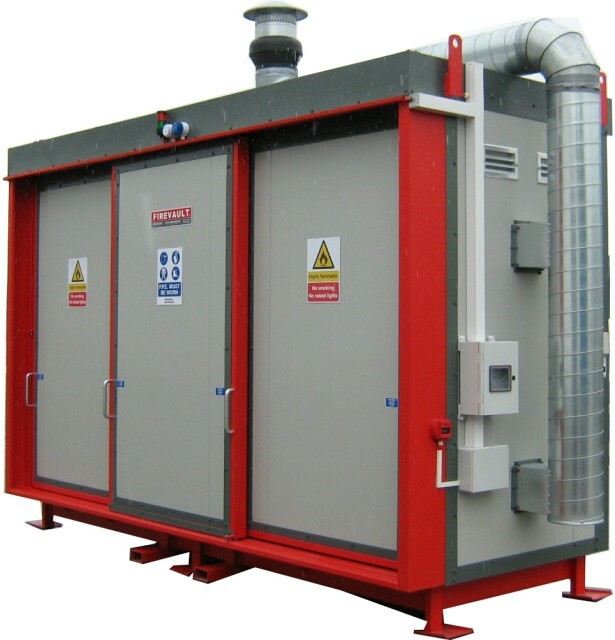 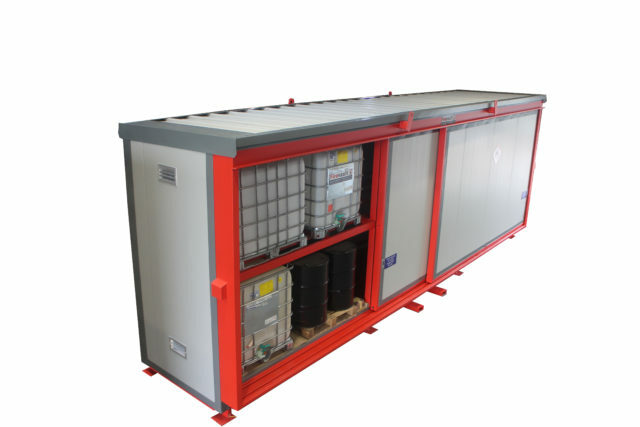 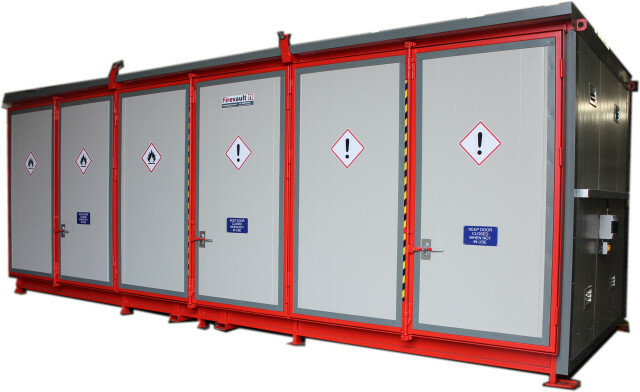 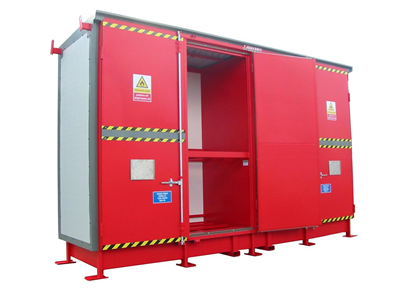 All Firevault units are delivered to site fully assembled and ready for immediate use with no site work required. 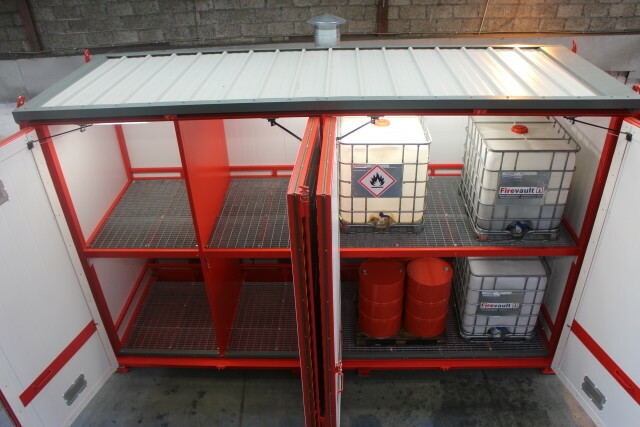 Firevaults are designed in accordance with EN, DIN & BS standards. 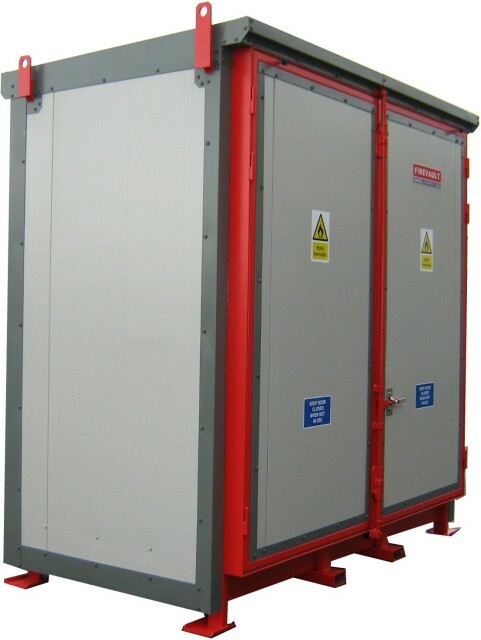 All electrical equipment fully ATEX rated and installed by a Compex certified engineer.